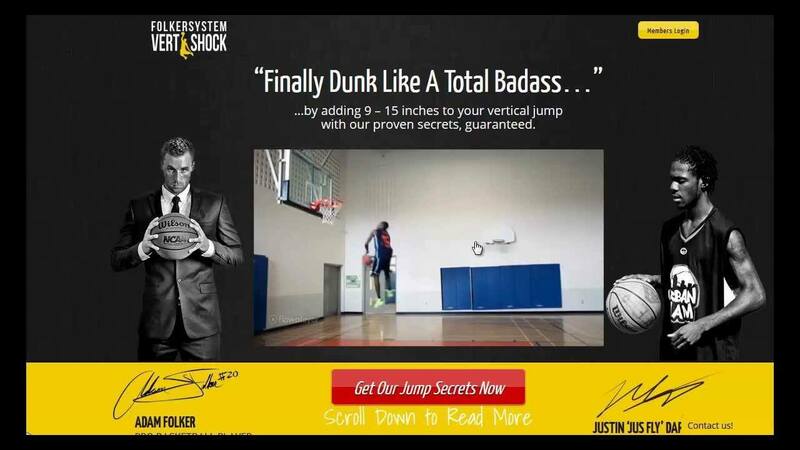 →How To Dunk A Basketball: Learn How To Train To Dunk Like The Pro’s! How To Dunk A Basketball: Learn How To Train To Dunk Like The Pro’s! The basketball slam dunk is arguably the most exciting movement in sport. Many average sized men (sub 6 ft tall) are in awe of the select few who can rise above the rim and throw down an impressive jam. Sure it is an easy feat for those over 6 ft 8 but for the average man who wants to learn how to dunk it can seem like an almost impossible task. But I Want To Learn How To Dunk In 2 Weeks? Is This Possible? 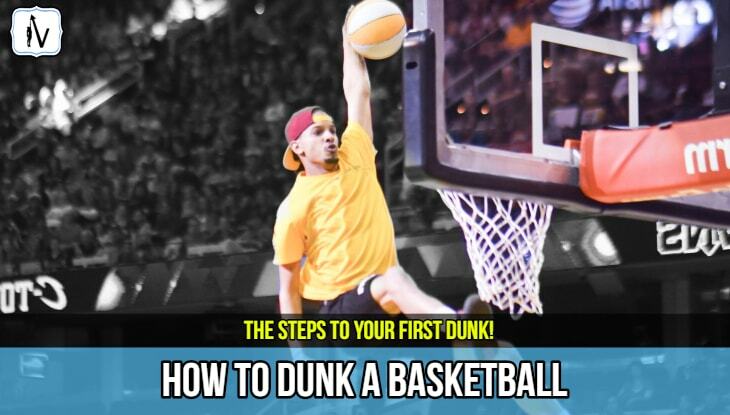 How To Alley Oop: The Easiest Way To Learn How To Dunk? Some average sized men will reside to the fact that they will never learn how to dunk a basketball. However, other average sized men will feed their daily desire to learn how to dunk a basketball and put in the work to make their dream a reality. Many “short people” have successfully trained themselves to dunk a basketball. There is no reason why you can't dunk too. Sure it won’t be easy. However, your journey to achieving your first dunk may be more achievable than you think. So you want to learn how to dunk a basketball? But Have You Got What It Takes To Make It Happen? There are many variables that will determine if you will ever throw down your first dunk. Firstly, yes genetics do play a large role in determining if you can naturally jump or not. You will notice that some guys can just jump very high without ever setting foot in the gym. These guys limbs are loaded with fast twitch fibres. However for each one of these vert freaks there are 9 athletes who learnt how to correctly train to dunk and subsequently increased their vertical jump height. If you are not genetically gifted don’t fear. 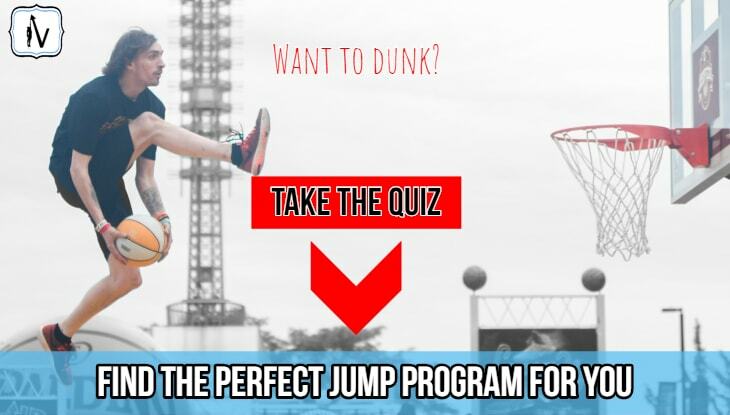 If you answered these questions honestly you have probably identified your major weakness and any other potential barriers that may hinder your current potential to dunk. Firstly, if you are overweight YOU MUST CUT THE FAT. In fact, losing excess body fat can be one of the fastest ways to add a few inches to your vertical jump. Before you embark on any ﻿﻿﻿jump training program try to get your body as lean as possible. This will not only boost your jump but will also reduce the potential for overuse injuries. Diet is the key to weight loss. There are many great programs out there that can help you lose many pounds. Programs like the Jump Manual also come with a nutritional guide. Secondly, if you are weak in the muscles of the lower limbs and core musculature you must BUILD JUMP SPECIFIC STRENGTH and use weight training to increase jump height. Further along in this post I will explain exactly how to train to dunk by undertaking jump specific resistance training. Thirdly, if you feel as though you lack “springiness” you will need to spend time and energy DEVELOPING THE REACTIVE ABILITIES of the tendons and muscles of the lower limbs. If you currently feel as though you have steel rods instead of an Achilles tendon you probably are not shocking anyone with your impressive vert. Never fear though, your tendons are very receptive to training stimulus. A little further along in this article I will explain how you can train to dunk by adding a few vertical jump training exercises that will enhance the elastic properties of your tendons. If you really want to learn how to dunk a basketball then please read on as we show you exactly what it takes to throw down. We often have people contacting us asking us how they can learn how to dunk in two weeks? Unfortunately, we have to tell these people that you can learn how to dunk in two weeks but you probably won't actually be able to dunk in two weeks. Sure there are some great mobilization and activation drills that you can do which will add a few instant inches to your jump height. Unfortunately, if you are under 6ft tall you will need a few more inches of vertical jump height to be able to slam dunk. Adding another 10-20+ inches is going to take some consistent hard work over the next couple of months. However, rest assured that significant increases in vertical jump height are very achievable. In fact many of the popular jump programs have proven to increase vertical jump height by around 9-20 inches in only 8-12 weeks. If you really want learn how to dunk you must be willing to put in the time to learning how to develop stability and core control. You see when an athlete attempts a dunk there is a constant interchange between activation in the prime muscle movers of a joint, and that of the underlying stabilizing muscles. Basically, if you have weaknesses in the stabilizing muscles, you will not be able to reach your true jump potential and unfortunately will probably never dunk a basketball. Any decent jump program should incorporate the component of stability training in the early phases. 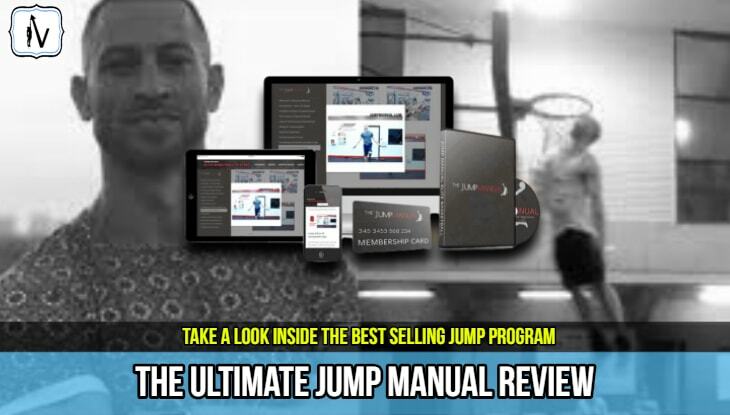 The popular jump program THE JUMP ﻿﻿﻿MANU﻿﻿AL does an excellent job of this and is one of the reasons why it has remained the best selling jump program for over a decade. Quality programs like The Jump Manual add specific exercises that aim to improve improve recruitment, strength and endurance in the stabilizing muscles in found within the lower limbs. Uni lateral exercises are the best way to develop stability and foundational strength in the lower limbs and core. "If you want to learn how to train to dunk you must not overlook stability and mobilisation training​"
These uni-lateral exercises are also great for increasing the ability to jump off one foot. Once you have achieved appropriate stability in the limbs it is time to begin training for strength. To maximise strength gains you must train with heavy loads. By loading the muscles we stimulate the amount of motor neurons that are activated. Motor neurons contain nerves that innovate the muscle tissue. Basically by activating more nerves we switch on more muscles that can be used while dunking. REMEMBER! The progression of exercise variables (eg. load, volume, intensity etc) are just as important as the exercises themselves. 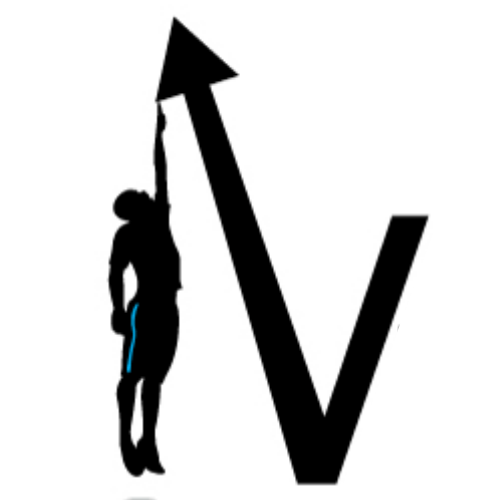 This aspect of vertical jump training prescription and programming can get very complex. It is this complexity that makes the purchase of a quality pre-packaged exercise program a very attractive proposition to people who want to learn how to dunk without having to do hours of research. These programs are great as they usually come with a 60 day money back guarantee and are really quite affordable considering the value contained within them. Remember: Only follow a proven program that is developed by a certified and respected trainer. Simply put, to get better at jumping you must jump more often. However, these jumps must be very specific to dunking. The best way to train to dunk is to actually attempt to dunk many times per week. Like stability and strength training the use of a state of the art jump program can help prevent overuse injuries by prescribing the correct volume of jumps specific to your individual needs. Basically, you must replicate the dunk movement and be able to continue replicate and progress this movement over time. One of the best ways to do this is to practice dunking on an adjustable basketball hoop with varied sized balls. Spend time dunking at the highest point you can reach with a tennis ball. Then dunk at that height with a small sized basketball and then move onto a size 7 basketball. Once this height becomes easy to dunk, boost the portable hoop up to the next level and start dunking this height with a tennis ball. Repeat the process until you can dunk a size 7 basketball on a 10ft hoop. Of course, the process of achieving your first dunk takes a lot more than just jumping. You must co-currently incorporate these jump sessions with strength, power and plyometric training. If you add too much volume in too short of time you will leave yourself vulnerable to a host of overtraining injuries. If you are after a program that has taken these factors into consideration and presented them in an easy to follow high tech program I suggest checking out either T﻿﻿he Jump Manual or for those of you who don’t have access to the gym ﻿﻿﻿﻿﻿﻿﻿﻿﻿﻿Vert Shock. Alley-oop dunks are an excellent option for basketball players who are trying to achieve their first dunk as they minimize the difficulty of the task. When you are learning how to alley oop all you really need to focus on is the mid air catch. Being able jump without the ball in your hands allows you to swing the arms to gain extra momentum which can add additional inches to your jump height. Sometimes these few inches can be the difference between throwing down or not. The hardest part of learning how to alley oop dunks is the timing of the catch. You can either have someone throw you the pass or you can do a self bounce alley oop or an off the backboard alley oop. Self initiated alley oops tend to be the easiest to replicate and are hence likely to be more consistent. Another benefit of learning how to alley oop rather than learning how to dunk normally is the fact that you won’t have to palm the ball. Small hands that can’t palm a basketball can be a major roadblock to achieving a dunk. When alley oops are timed correctly the ball can be easily pushed downward into the hoop with centrifugal force. Most young athletes find that the one foot dunk is the easiest dunk to learn. Although one foot dunking tends to come easier for younger athletes, many older athletes tend to have to work a little harder to learn how to dunk off one foot. Junior athletes who play regular basketball tend to do many layups as part of their basketball training which tends to carry over into jump efficiency. Older jumpers and people with a weight lifting background (squatting in particular) tend to have developed motor patterns that lend themselves toward a more efficient two foot dunk. The single foot jumper tends to use minimal knee flexion with much of the jump height coming from reactive abilities of the calf and achilles tendon. To jump higher and dunk off one foot the ankle joint and surrounding musculoskeletal constructs must be able to resist deformity while been able to store and translate force. Athletes who have a sub par single foot jump height tend to display a loss of power through their feet and ankles. To jump high off one foot the ankle complex must be able to efficiently transfer horizontal forces to vertical jump height. To learn how to jump off one foot and dunk effectively you must also understand the importance of hip stability and glute activation. You don’t have to have the strongest glutes in the world and be able to squat 3x your bodyweight or deadlift 500 pounds either. Basically your glutes need to fire at the correct time to provide stability and a base from which the horizontal forces can be converted to vertical forces. The quadriceps also play a vital role in single leg jumping. Basically the quads stabilize the knee during plant and takeoff. Any weaknesses in the kinetic chain and valuable power will be lost. The best single leg jumpers and dunkers tend to have a slight frame with long and lanky legs and a superior ability to transfer force through the feet and ankles. In order to jump up off one leg, athletes should be proficient in a few key skills. As I mentioned earlier athletes who tend to perform regular squats and deadlifts tend to program the body to prefer bilateral (two footed) jump technique. 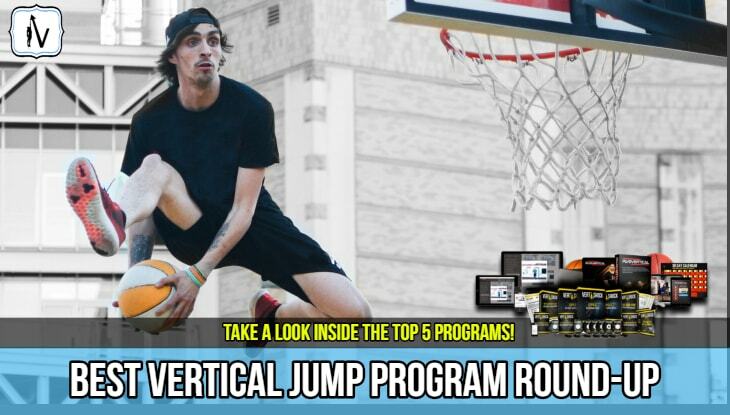 If you want to learn how to dunk off two feet you should invest the time into learning the principles of jump specific vertical jump training. Chris Barnards popular jump program The Flight System does an excellent job at developing two foot jump specific strength and power. 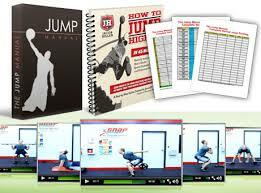 The Jump Manual is also an excellent program for people who want to significantly improve their jump height and aren't afraid to throw around some heavy weights. The two foot dunk tends to rely less on springiness and more on brute power. Two foot dunkers tend to flex the knees to a greater extent than single foot jumpers. The two foot dunk loads the quadriceps and glutes and uses these muscles as the primary movers. Ideally you should be able to jump off either one or two feet. Most of the leading jump programs develop both the one and two foot jump height by integrating a range of exercises and jump techniques to ensure holistic vert gains.